Full moon, night sky with lightning, abandoned buildings, cemetery and cast whirling somewhere in the dark ... Is it scary? Do you want to see everything with your own eyes? Then download our new Halloween Dusk screensaver. A festive, scary screensaver, gloomy and at the same time atmospheric. Just what you need on the eve of All Saints Day! Surprise friends and your family with our Halloween holiday screensaver. Excellent graphics quality, realism, what else do you need? We are sure that you will like our new product. 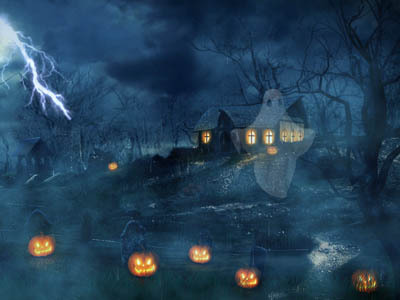 Install Halloween Dusk screensaver on your desktop PC right now absolutely free!